There is nothing that excites a cook more than taking a small collection of relatively mundane ingredients, muddling them about with various degrees of heat, and creating something that is so much more impressive, exciting, delicious, than anyone could have possibly imagined at the start of the process. Preheat the oven to 200C/400F/gas 6. Place the cauliflower in an an ovenproof pan or tray that fits them tightly. In another pan, melt the butter over a medium heat. When it foams gently, add the flour. Stir vigorously for 4-5 minutes until the paste has become one and is starting to smell nutty but not burnt. Pop in your anchovy fillets, squishing them so they melt into the roux. Slowly start stirring in the milk. Bring to the boil, then turn down to a simmer and cook for a further 4 minutes, stirring constantly, until you have a lovely smooth sauce. Add half of the taleggio to the sauce, stirring until the cheese is completely melted in. Add the thyme, then check the seasoning remembering that the anchovies and taleggio are both a little salty. 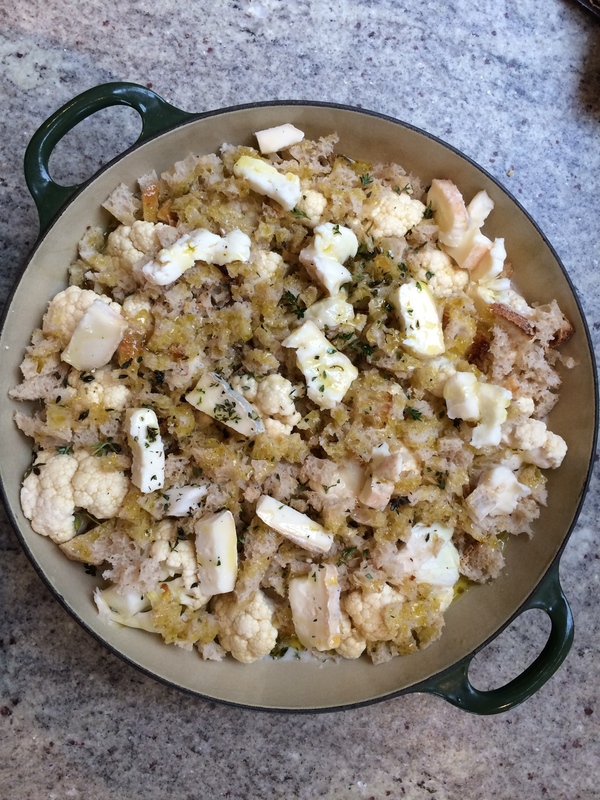 Pour this sauce over the waiting cauliflower and cover the surface with the breadcrumbs, the remaining taleggio and a light drizzle of olive oil. 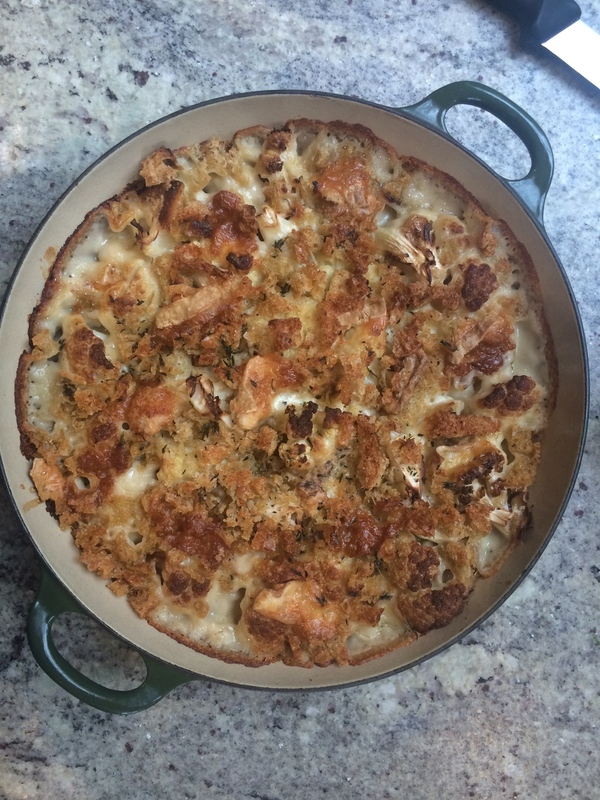 Place in the oven for 20-20 minutes until the breadcrumbs are perfectly brown and the cauliflower florets can be easily pierced with a fork.